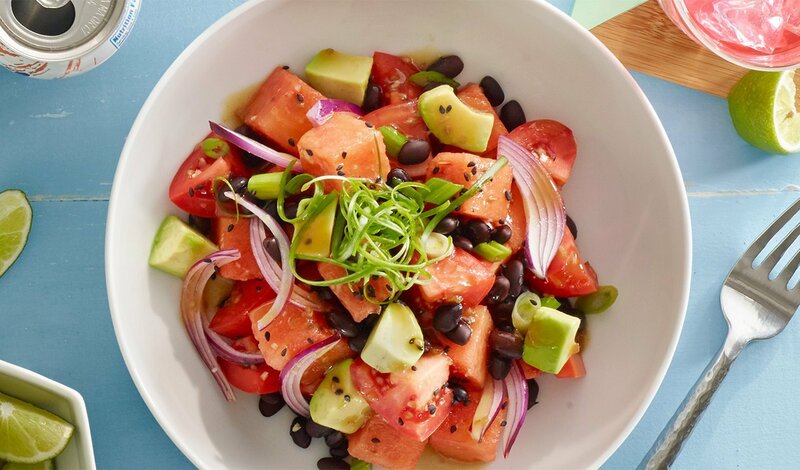 Black beans combined with cubed Roma tomatoes, watermelon, avocado, minced garlic and slivered onions, then dressed with a savory combination of Hellmann’s® Sesame Thai Vinaigrette and soy sauce. Garnished with sliced scallions and black sesame seeds. Combine all ingredients except scallions and sesame seeds and toss gently to combine. Garnish with scallion and sesame seeds.